Recently, while scrolling through car archives, this dramatic concept 2 seater fastback, front engine Shelby GR-1 caught our attention almost immediately. With this incredibly polished aluminum body, how could you miss it? This stunning prototype builds on the success of the Ford Shelby Cobra concept and has an impressive V10 605 HP and 390 cubics/inch all aluminum engine with a Ford GT road tested suspension, the Shelby GR-1 also owns an aluminum chassis and a wheelbase from the Ford GT but both are much shorter than the famous sports car. This Ford Shelby GR-1 is the biggest engine of them all, the renowned 427, sporting all-aluminum V10 block created by the Ford engineers themselves. It delivers 605hp and 501 pounds of torque and can reach a top speed of 200mph+, and that, ladies and gentlemen, is without the help of a turbo or supercharger. There are butterfly doors that lead into the racing interior with carbon shells seats and fixed backs that are connected to the sill and tunnel through space frame attachments of aluminum. The removable Alcantara comfort inserts are slotted into the seats to politely accommodate any occupants’ body type. 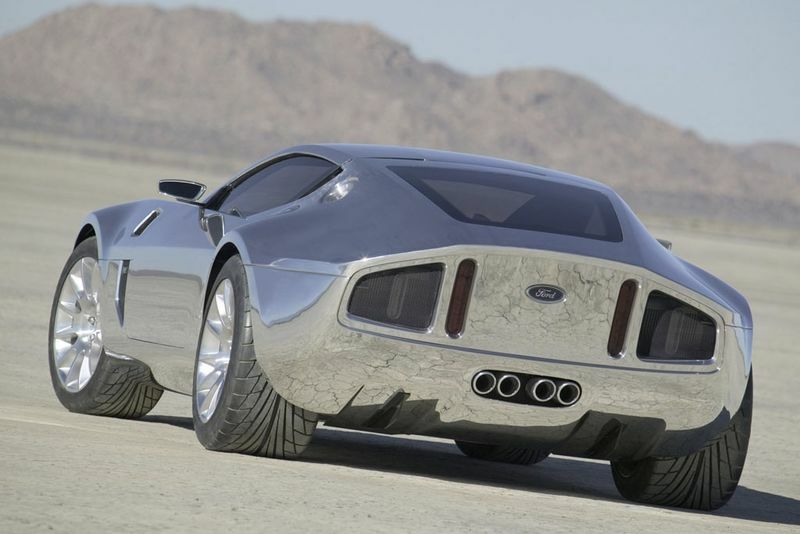 The 2005 Ford Shelby GR-1 Concept Platform Model it was sold for $82 500 by Ford Motor Company and the proceeds went to Benefit the Juvenile Diabetes Research Foundation. Shelby's 565kw Ford F150 Bakkie Now Available In Sa! The Ford Mustang 729 Supercar Concept, Breathtaking!